Brandberg Mountain is Namibia’s highest peak, standing at 2,606 metres. It is also a monolith, so when you cross the northwestern Namib Desert you will know when you see it. 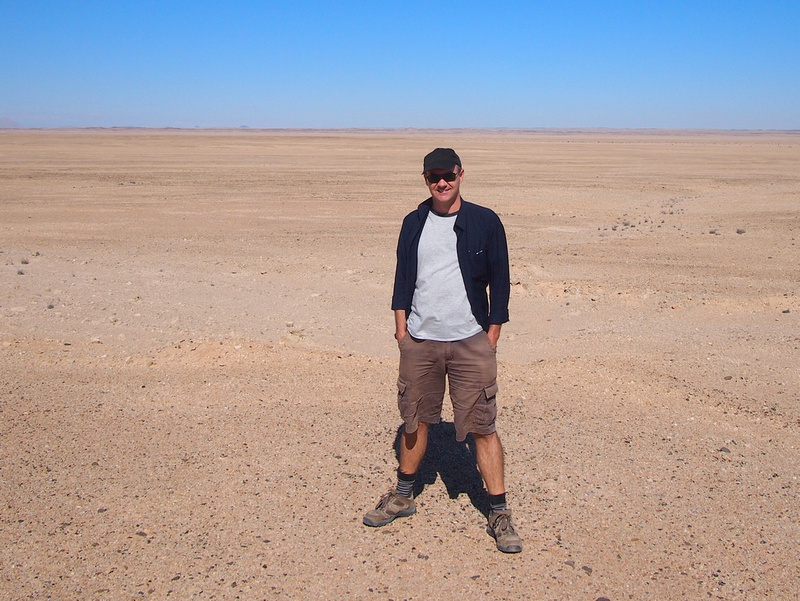 I was in Namibia visiting the Mad Max filming locations, which was mostly shot near Swakopmund (this was a press trip on behalf of the Namibia Tourism Board). After Swakopmund there was one more filming location to visit, which was on the road from the coast to Brandberg Mountain. 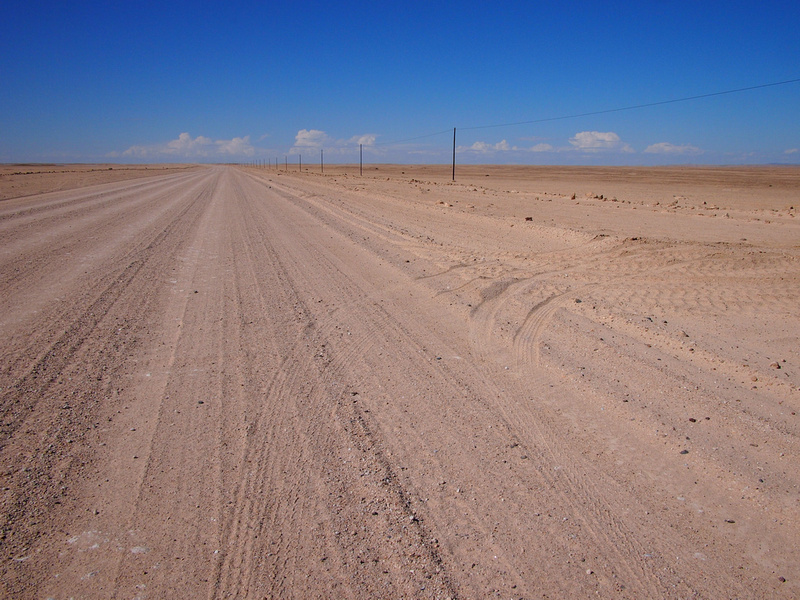 We stopped on a flat and empty stretch of desert, devoid of any features except for the road and a power line. It doesn’t get any more apocalyptic than this, which Mad Max director George Miller must have been thrilled with. We got out to have a look around and our guide pointed to what looked like a bunch of dirt, approximately where the filming took place (having now seen the movie this is where they filmed parts of the sand storm scene). He could have been pointing at anything for all we knew but it was nice to take in the landscape. I personally found the landscape fascinating as it is similar to where I grew up in western NSW in Australia, except here there is even less vegetation. Further down the road we made another stop where by now we could see the mountain standing by itself (as monolith’s do) on the desert plain. 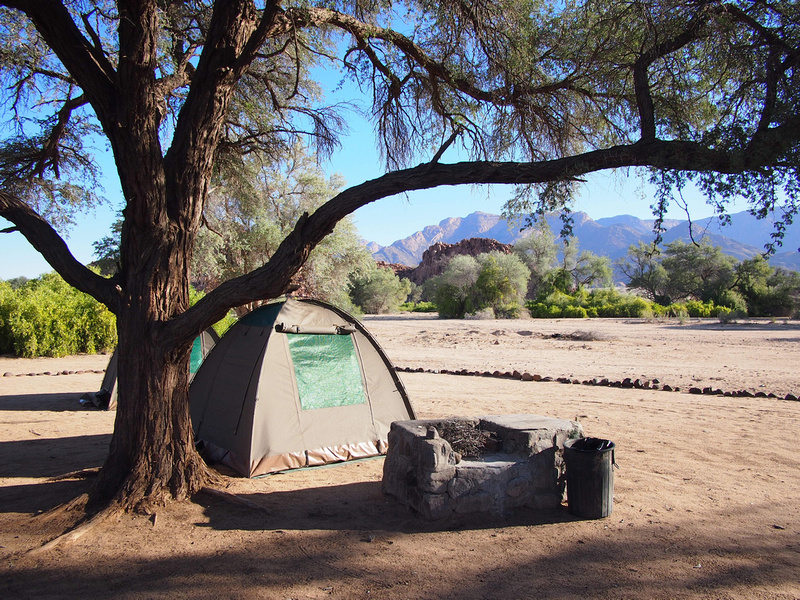 We arrived at Brandberg Mountain in the late afternoon and unpacked at the camp grounds of the White Lady Lodge. I wasn’t expecting much with our campsite so I was pleasantly surprised to see our tents were already set up. 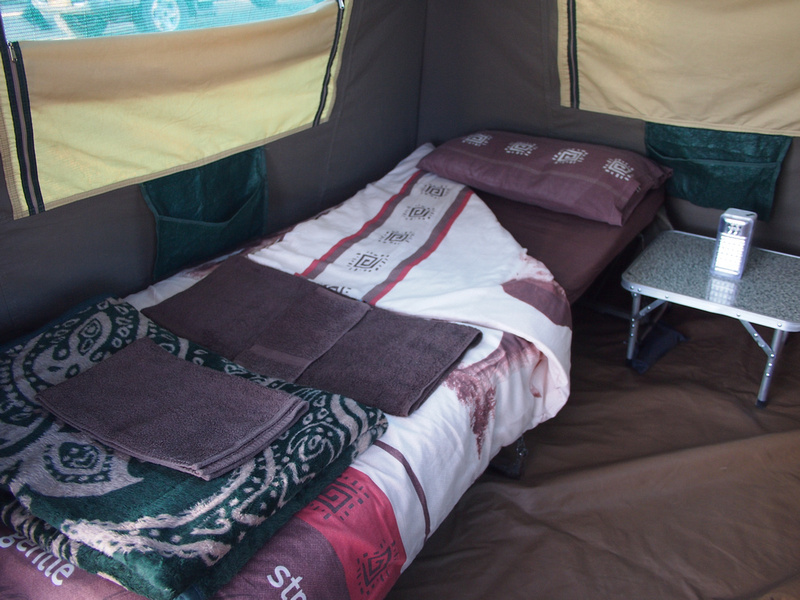 Each tent had a bed and electric lamp inside and the tents were high enough to stand in. It doesn’t sound like much but my low expectations probably stem from some miserable music festival experiences. The fact that it was already set up also removed half of the pain points of camping. This was our home for the next two nights and I was delighted to be here. The campsite was near a rocky mound which was an ideal place to watch the sunset. By night time we sat around the open fire while waiting for our dinner, which turned out to be a feast. Then there was the star gazing. I had forgotten what a night sky with no light pollution looks like – to see thousands of stars and the milky way. I spent most of the night slumped in my chair gazing upwards in awe, reacquainting myself with the constellations of the southern skies. 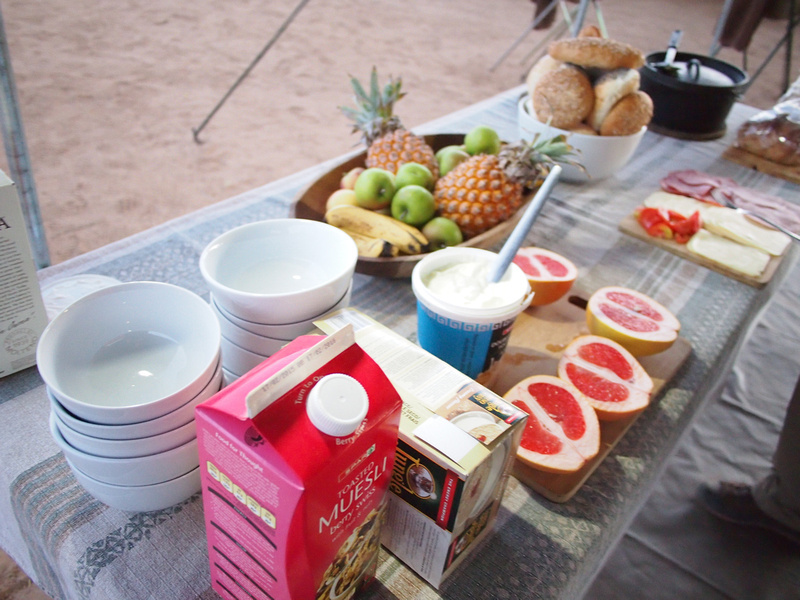 The next morning the food festival continued with a healthy breakfast spread and plenty of coffee. Our first activity of the day was a hike to a rock painting in the mountain. The path follows a dry river bed and is mostly flat, and it was a welcome walk after spending so much time driving. 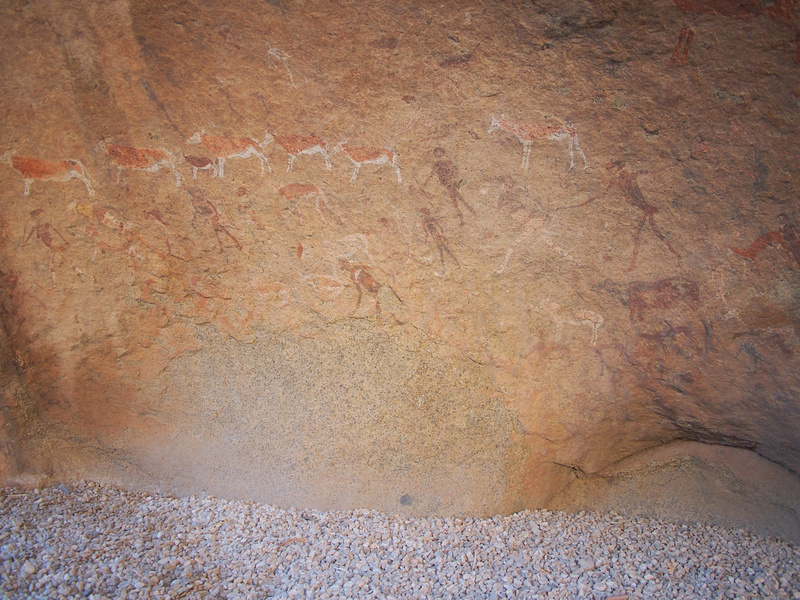 The rock painting is The White Lady, which is estimated to be around 2000 years old. The painting is on a rock overhang about one hour walk into the mountain area. After lunch we were back in the vehicles for another excursion. 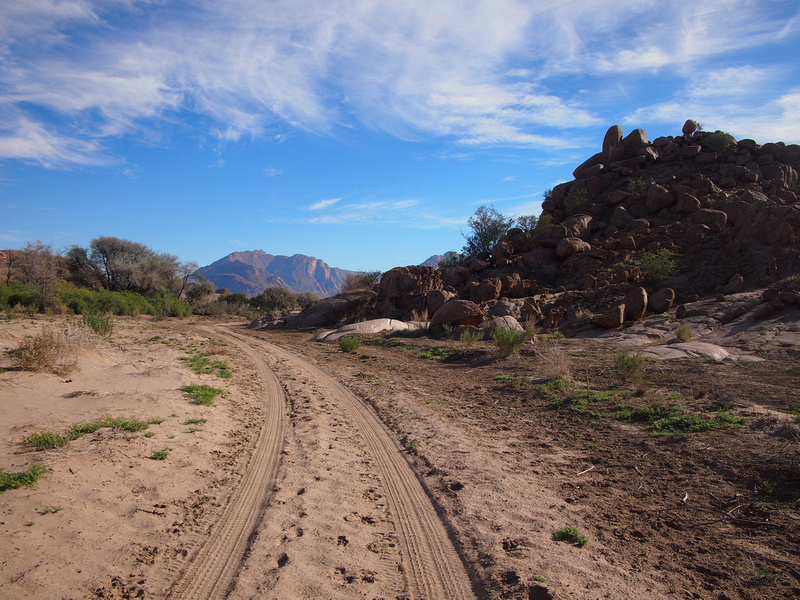 The campsite was next to a dry riverbed, and we took a drive along it to try our luck for desert elephants which are known to traverse the empty waterway looking for water pools. Some dry elephant poo was as close as we got to elephants. The scenery was worth the drive though, with stunning rock formations along the way. Driving around gave us different views of the mountain, which changed colour with the light throughout the day. Even though we were camping we could use the pool facilities of the lodge and relax by the garden. 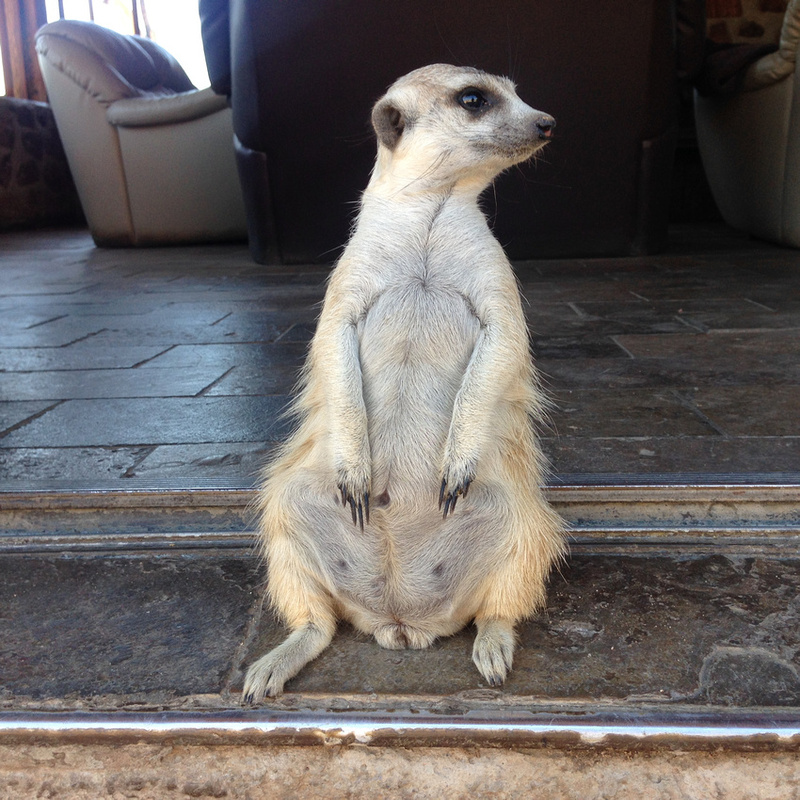 A few of us were at the lodge having a post-swim siesta when we met the resident meerkat. OMG A MEERKAT! Look at it, it’s so freaking cute. I of course knew what a meerkat was but I had never in my life stopped to think that seeing one and being able to pet one would be a thing that you could actually do. We were three grown men giggling like little school girls. I’m glad it wasn’t filmed because no one should see such a spectacle. I picked up my new-found friend who immediately took up residency on my arm. So blissed out. 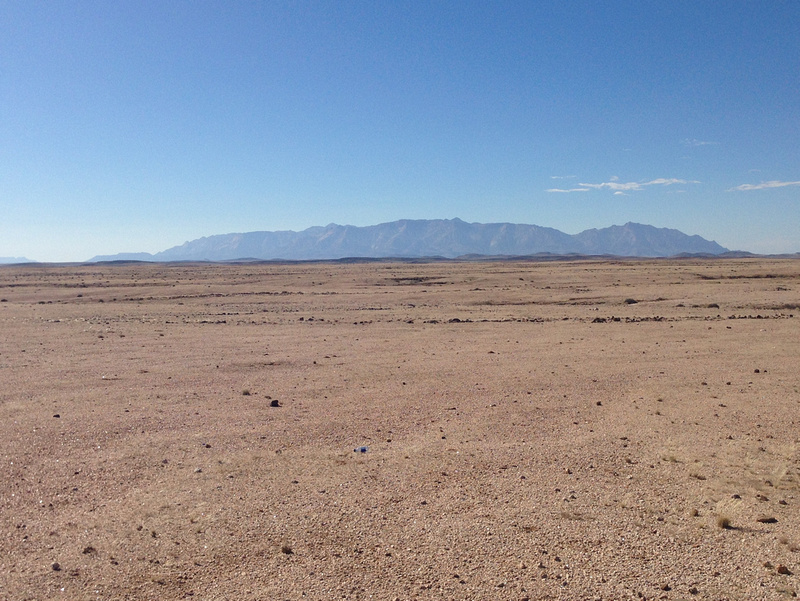 Visiting a desert mountain didn’t that sound appealing when reading from the itinerary sheet. It turned out to be a highlight of the trip (and not just for the meerkat). 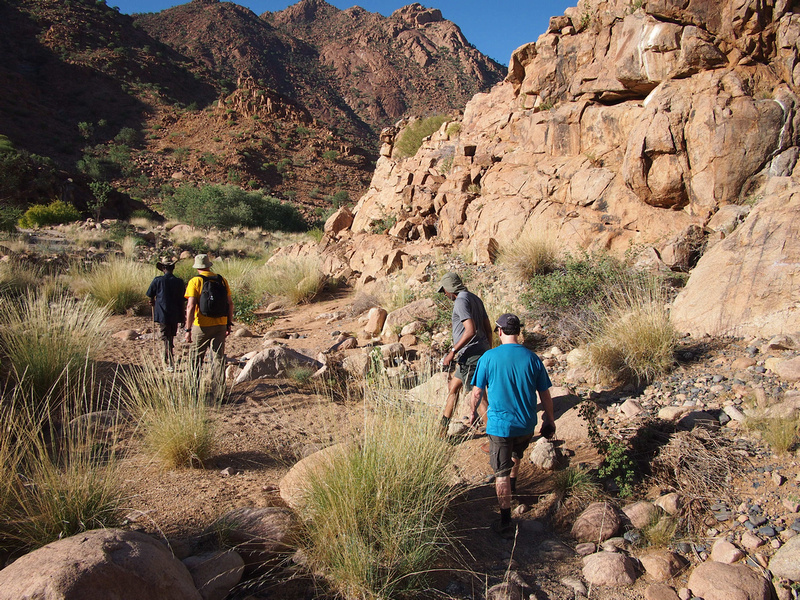 Our tour was organised by Namibia Tracks and Trails, who offer package and bespoke tours. There were eight of us in two 4×4 vehicles, and our two guides were part of what made the trip memorable. 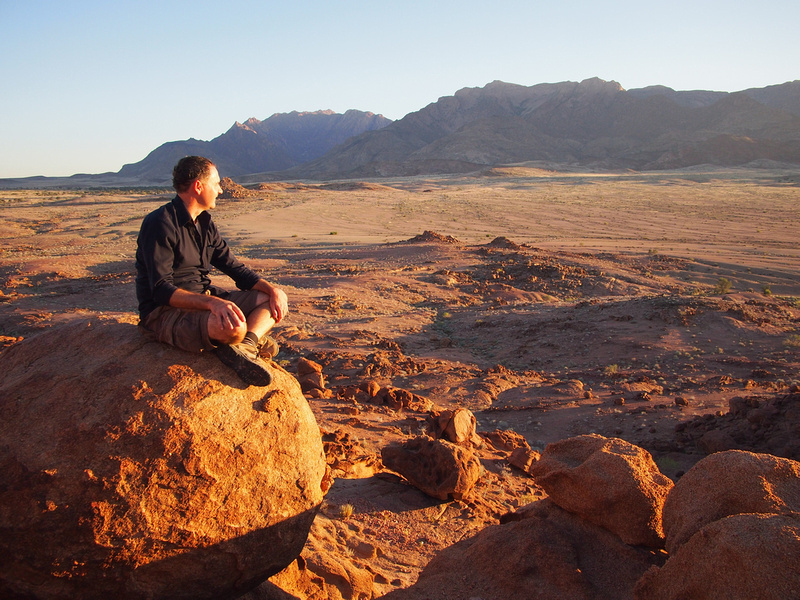 For more information on Namibia visit the Namibia tourism website. See more photos in the Brandberg Mountain photo gallery. Great pics and looks to be a beautiful place. So James, where is the White Lady? Killer pictures. 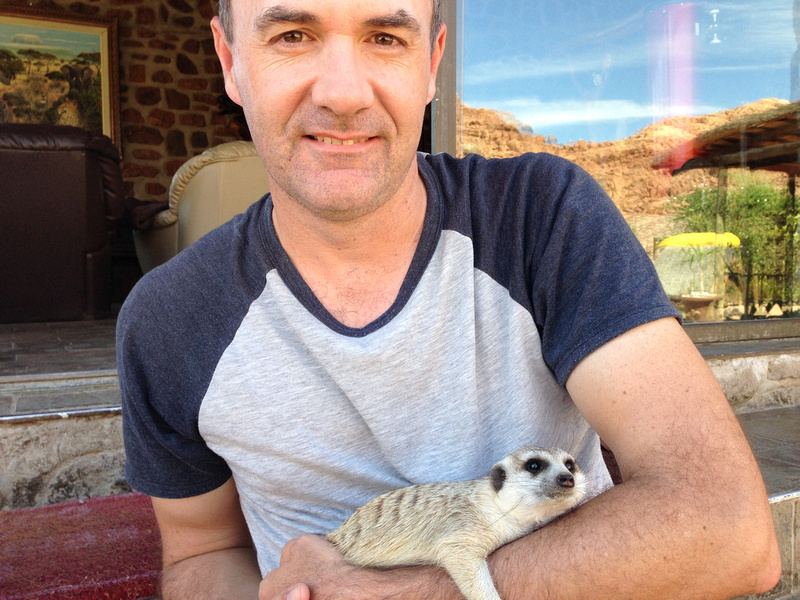 Be careful, you might start a Meerkat pet craze! Brian. That’s what we said about the White Lady as well. Apparently she is one of the characters on the rock. What a fun contrast to the humidity and crowds in SE Asia. You look strong and healthy. 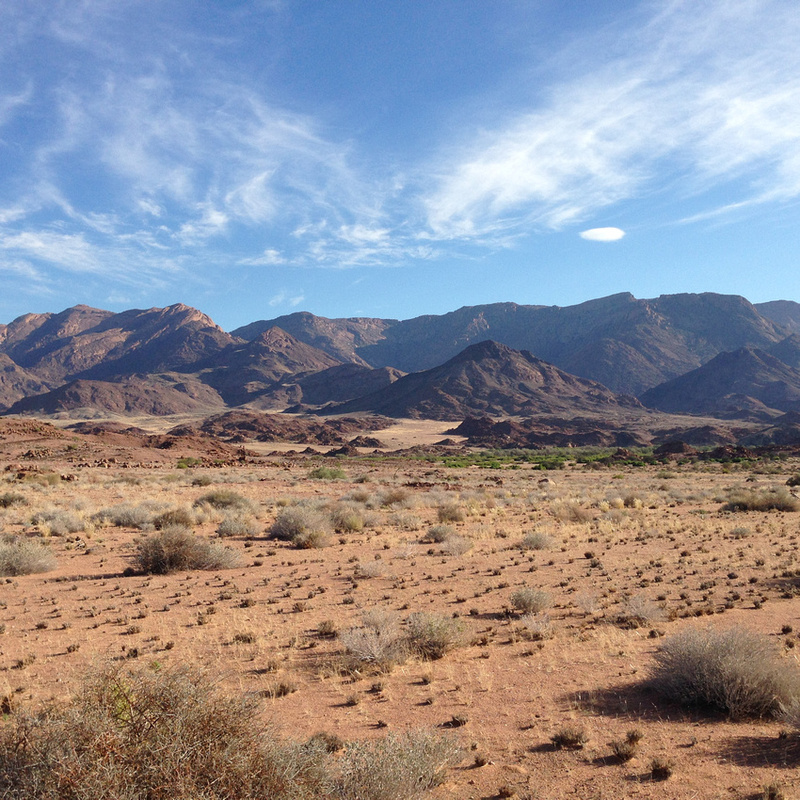 Needed some inspiration for Namibia – other than the Mad Max locales!